Hope everyone had a wonderful 4th of July weekend! 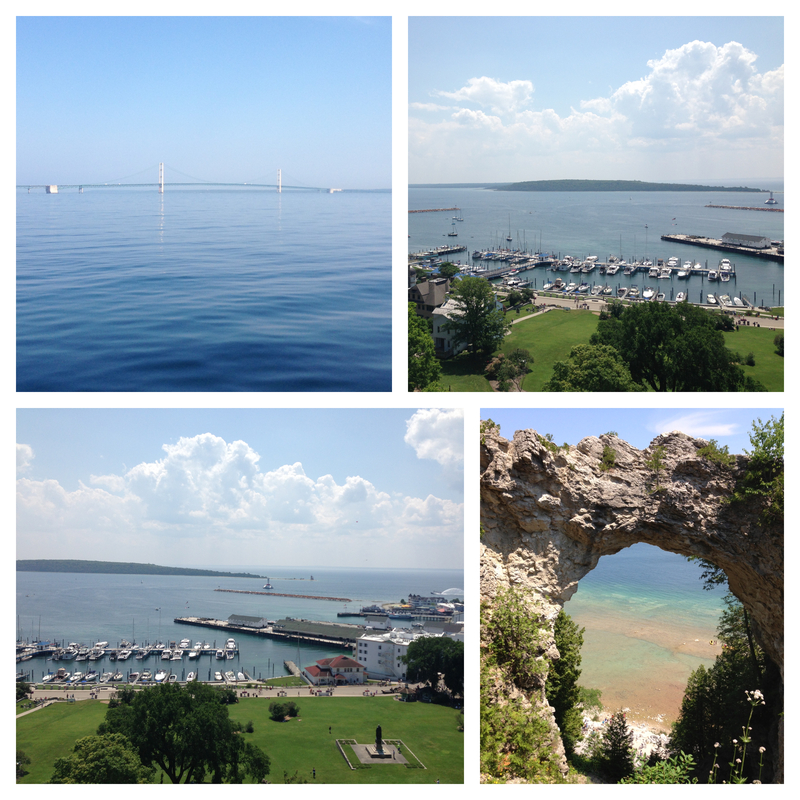 We had a great time camping up in northern Michigan and visiting Mackinac Island–a stunning island in Lake Huron that only allows two modes of transportation: horse-drawn carriages and bikes. But on to today’s project. 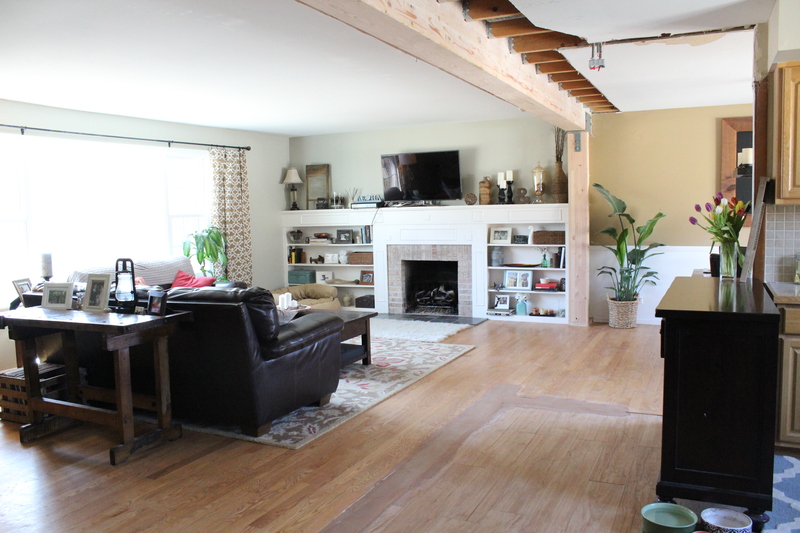 If you are new here, we removed the wall between our kitchen and living room. 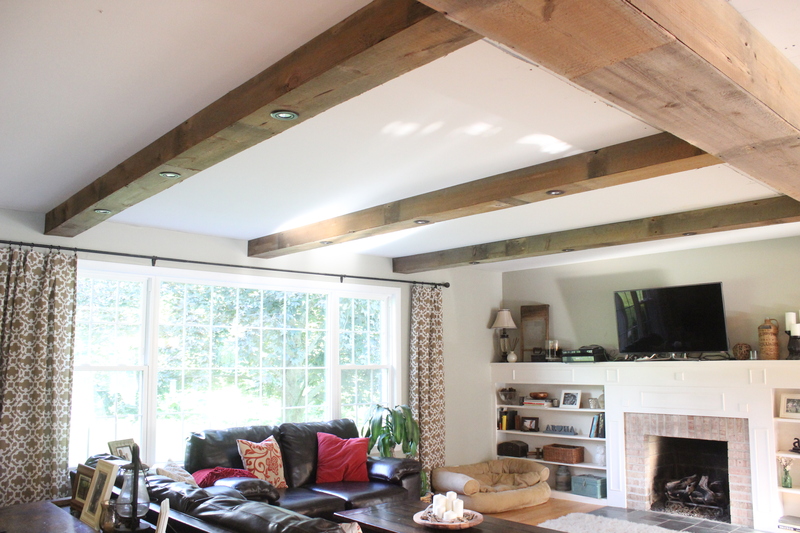 Because it was a structural wall, we had to install a 1,200 pound, 26 foot long, 8.5″ wide and 18″ deep beam to hold up the house. 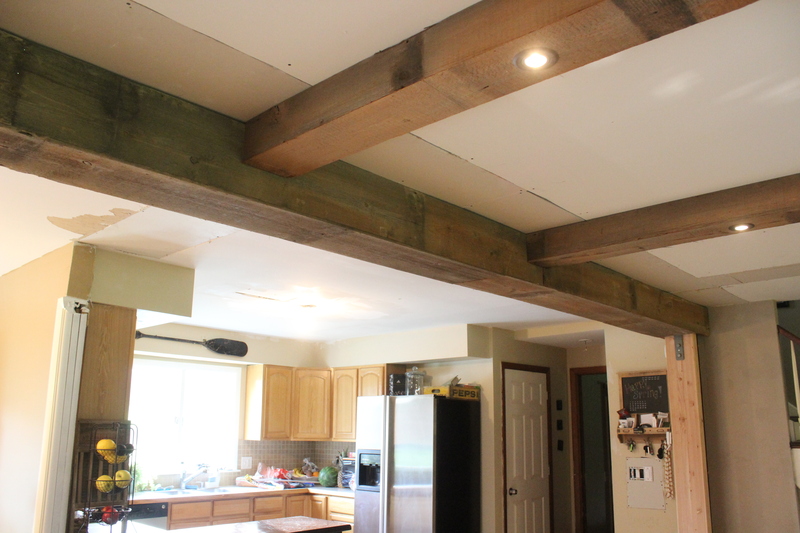 It sat exposed for a couple months while we searched craigslist for barn wood to wrap the beam. 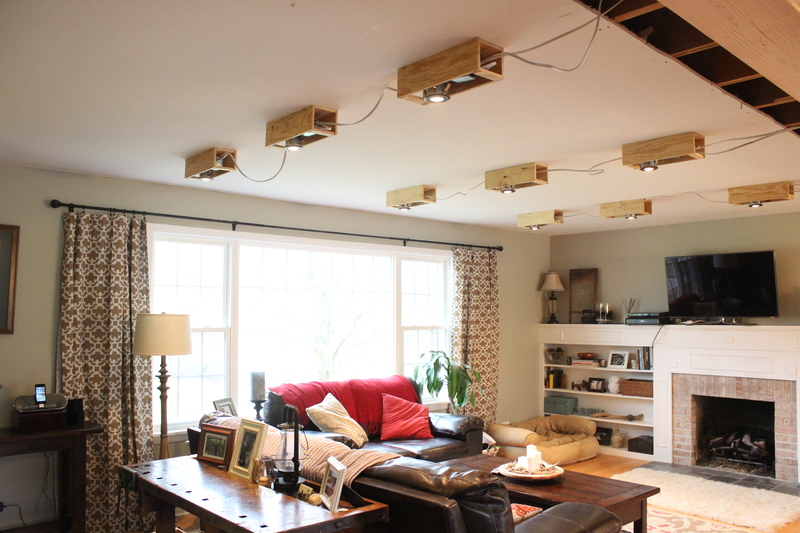 As planned, we also added dimmable can lights in the living room (there was no lighting in the room previously). Here’s what those looked like before wrapping them in barn wood. 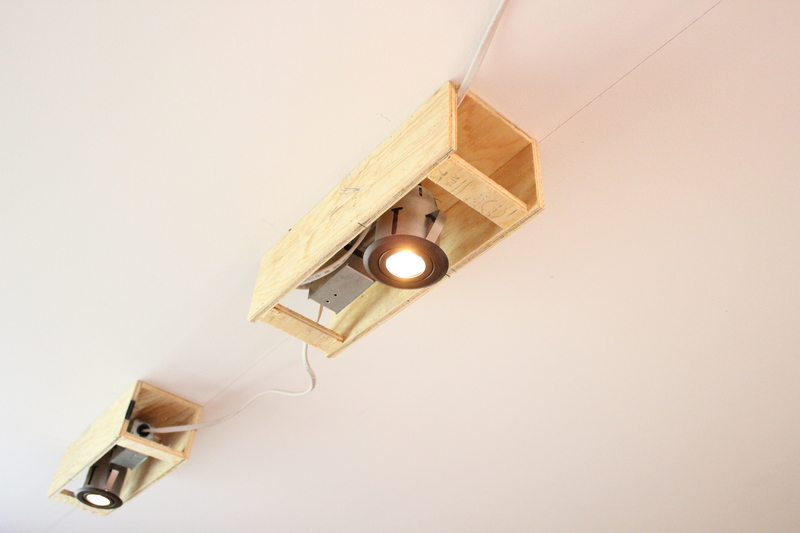 We built boxes around them and had an electrician wire them up. And here is how they look today! We still have to drywall the end supports, and patch and paint the ceiling, but things are shaping up! 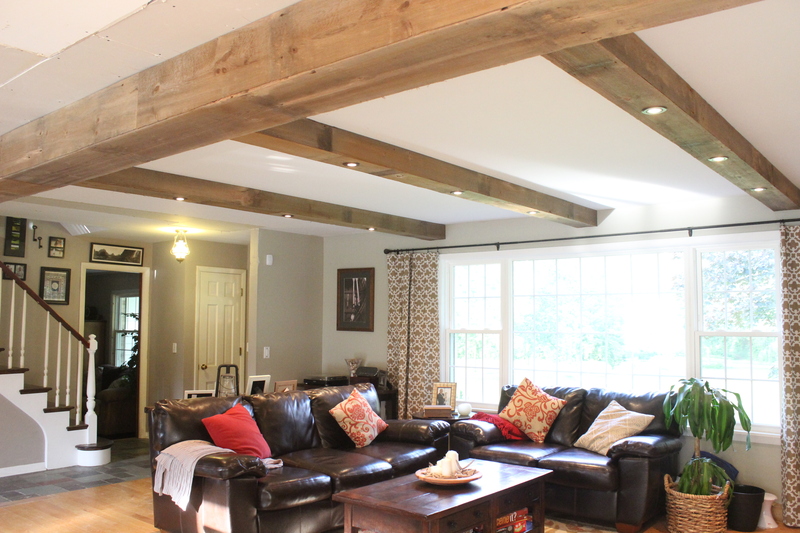 We’re really happy with them and think they add a lot of charm and character to the house. Not to mention function with 9 new lights. 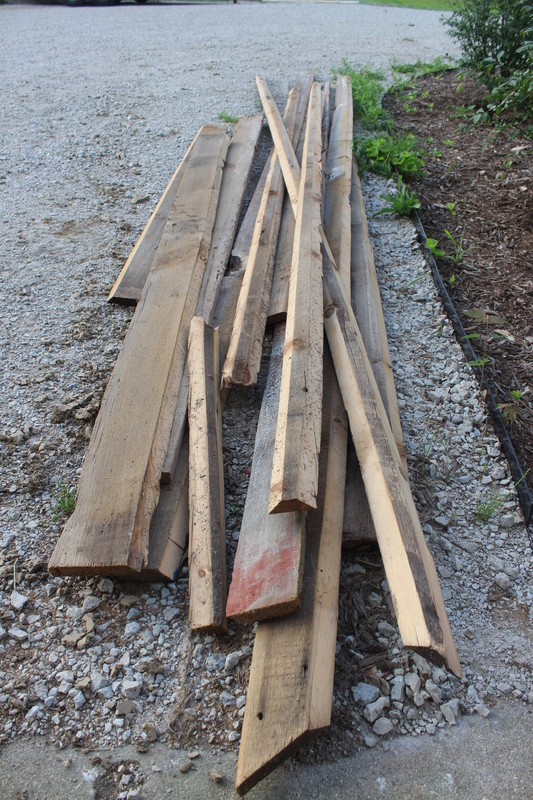 And we have a little bit of scrap barn wood left over that we will definitely put to use somehow (maybe frames or shelves? ).